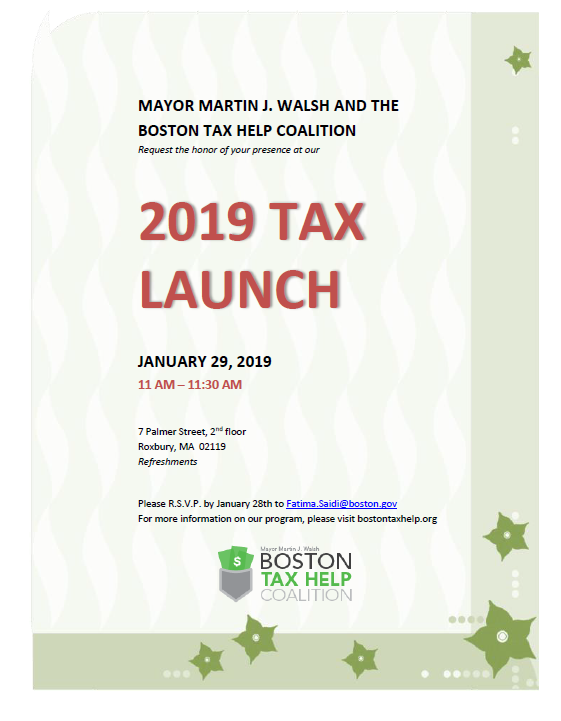 The Boston Tax Help Coalition will launch its 18th season on January 29 at 11 AM, at the Roxbury Center for Financial Empowerment, with Mayor Walsh and various honored guests. All are welcome to attend. Please R.S.V.P. by January 28, 2019 to Fatima.Saidi@boston.gov.